This Amalgamated Health Insurance Company review explores Chicago, Illinois-headquartered Amalgamated Life & Health Insurance Company. The company’s ultimate parent is Chicago-based Amalgamated Social Benefit Corporation. Health insurance costs continue to rise, with no end in sight. Compare your Amalgamated health insurance rates with those of other interested health insurers. Receive fast, free health insurance quotes on a no-obligation basis—start by typing your zip code now! The company was founded in 1939 (and the insurance company was founded in 1943) to provide a range of financial products and services to working people. The company offers a range of voluntary benefits, retirement and savings plans, and life insurance programs to members of the Amalgamated Clothing Workers Union. Eventually, the company expanded its product distribution services to more than 30 labors unions. As labor union members continue to decline, Amalgamated Life & Health Insurance Company’s primary goal is to increase non-union clientele. Senior management changed in 2008 with that primary goal in mind. According to Dun & Bradstreet, Amalgamated Life & Health Insurance Company generated annual sales of about $6.84 million during fiscal year 2009. The organization generated approximately $660,230 in annual net income for that year. The company is considered a low-risk vendor. “Moderate income” workers may also apply for health and benefits programs offered through the Amalgamated Social Benefit Corporation. Amalgamated Life & Health Insurance Company provides third-party administration services (TPA) along with health care cost management services to self-insured businesses or groups. Licensed in 47 states, the company insures at least 800,000 people. The company started out by offering benefits plans to union patrons, including ASO contracts and group insurance policies. Amalgamated Life & Health Insurance Company’s historic and current clients are typically members of trade unions covered by the Taft-Hartley health/welfare and pension programs. Endorsed programs by unions are also offered insurance coverage by the company. In 2005, as part of a proposed customer expansion program, Amalgamated Life & Health Insurance Company entered into a joint distribution, marketing, and underwriting program with Boston Mutual. 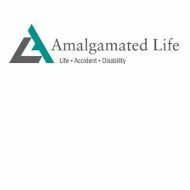 In 2010, Amalgamated Life & Health began to consider voluntary health and wellness products, including accident and illness plans, vision, and dental coverage. The company maintains a long-term salaried workforce of 12 insurance sales specialists to union and related workforce groups. These employees also interact with insurance consultants, brokers, and agents to market the company’s insurance programs and services. In 2009, the company hired two new insurance sales specialists to focus on prospective new relationships in New England and California. The company remains squarely focused on members of the Taft-Hartley marketplace. Approximately four-fifths of the company’s premiums are derived from life insurance sales. According to the company, New York clients account for approximately 75.5% of premiums, followed by Illinois (12.4%); New Jersey (3.8%); and other (8.3%). A.M. Best indicates that declining interest earnings, increased claims, and increased administrative costs have lowered the profitability of the company. In 2009, the company enjoyed a spurt of increased premium income from the new sales of a medical stop-loss product. Medical stop-loss insurance helps people to survive the devastating financial impact of a catastrophic illness. Employers purchase medical stop-loss plans when they don’t want to absorb the full impact of employee health claims due to long-term, severe illnesses, such as cancer. The company’s return on equity showed increases through information presented as of year-end December 2009. The company’s strategic plan to diversify its product mix and revenue stream is crucial to the long-term survival of Amalgamated Life & Health Insurance Company. As investment returns on fixed income instruments decline, so do the returns on Amalgamated Life & Health Insurance Company’s portfolio of approximately $65.76 million (invested in bonds, preferred stocks, loans, and accounts receivable). The company’s conservative buy-and-hold strategy in a declining fixed income interest rate environment should improve as the yield curve increases. In addition to insurance products and services, Amalgamated provides commercial property & casualty insurance, printing, professional liability, and information technology services. Knowing how much you can save on health insurance rates isn’t a mystery. Simply request competitive health insurance quotes from a universe of competitive health insurers to save money now! Type your home zip code to start saving today!